How to Cancel Apple Music Membership? What Will Happen after Cancellation? Apple Music is a music and video streaming service developed by Apple Inc. The service was announced on June 8, 2015, and launched on June 30, in over 100 countries worldwide. Apple Music is divided into five main sections to gives users instant access to millions of songs. "For You" shows you personalized playlists and albums based on the genre and artist preferences you pick out when you first open the app, as well as your play history. "New" shows a list of new songs and albums, currently popular content, videos and thematic playlists. The "Radio" tab offers a window into Apple Music's Beats 1 24/7 always-on radio station, as well as various algorithmically-generated stations. "Connect" is a social network that lets artists connect directly to fans. "My Music" shows the songs you have in your library, as well as any playlists you’ve built. >> Everything You Need to Know about Apple Music. What is Apple Music Membership? As a member of Apple Music, you can stream Apple Music on your iPhone, iPad, iPod touch, Mac, Windows PC, Android smartphone, and new Apple TV. There are two ways to enjoy music provided by Apple Music: Individual, Family. Individual membership of Apple Music starts at $9.99 per month, which gives you access to the full Apple Music library, recommendations and radio stations. With a Family Membership, families of up to six people can stream any of Apple Music songs at $14.99 per month. How Can I Cancel Apple Music Membership? New member will be able to make a free trial for three months. The membership is automatically updated at the end of the trial period and will be charged monthly until you turn off automatic updates in your account settings. If you do not want to continue, you need to disable the auto-renew right now. Cancelling your Apple Music membership is easy. On iOS devices, simply open the Settings app. 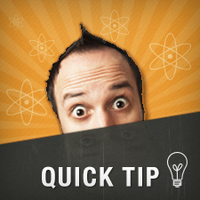 Tap iTunes & App Store, then tap your Apple ID at the top of the screen and choose View Apple ID. You can now choose Subscriptions and update your membership. On Mac and PC, you can access your account information in iTunes by choosing Account > View My Account. Then click the Manage link next to Subscriptions in the Settings section. From here you can update or cancel your membership. What Will Happen after Cancelling Apple Music Membership? After cancelling Apple Music membership, any streaming music you've added to your library from the Apple Music catalog will no longer be playable, and you'll no longer be able to search through the streaming catalog or play custom playlists. (You have thirty days to reinstate your membership if you want to restore these tracks.) The ability to add Apple Music content to your library, listen to radio stations, download to listen offline, and receive music suggestions from experts will also be unavailable after cancellation. BEST Way to Keep Apple Music Playable after Cancelling Subcription! Basically, any streaming music you've added or downloaded to your library from the Apple Music catalog is not available to enjoy after cancelling subscription. But if you save the songs downloaded from Apple Music in the regular MP3, AAC format during the period of the subscription, you can enjoy Apple Music songs whenever and wherever you want. In response to the needs of users who love music, NoteBurner Inc. developed iTunes DRM Audio Converter, a multi-function audio conversion program. iTunes DRM Audio Converter adopts advanced technology, will be able to output audio files with removing DRM with 100% original quality. 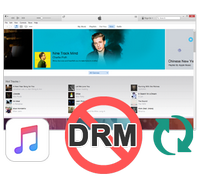 With iTunes DRM Audio Converter you can easily convert DRM-ed iTunes audio files and Apple Music to MP3, AAC, FLAC, WAV at 20x faster speed for playing offline on any of your devices, such as your iPhone, iPad Pro, iPod, MP3 player, Roku, Windows Phone, etc.